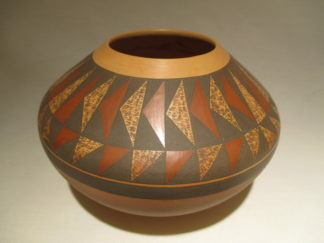 Large red Santa Clara Pueblo Pottery Jar with carved Avanyu made by well known and highly regarded pottery artist, Vickie Martinez-Tafoya. Approximately 12″ tall, and 11″ in diameter. Please watch the quick video!